Today’s gift is a fashion multi-tasker: a bag that will take you from work (a stylish crossbody) to evening cocktails (a chic clutch). 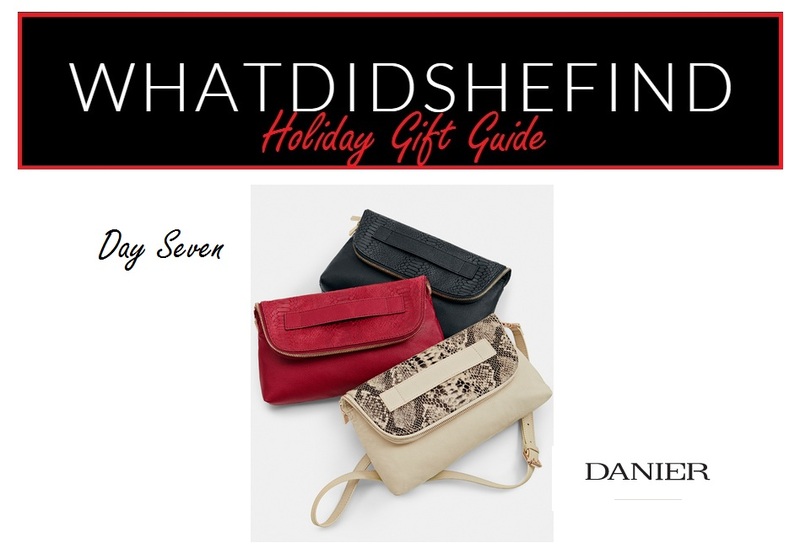 The Abbey Convertible Crossbody/Clutch from Danier comes in three colours: Crimson, Black, or Bone (my personal favourite), and is made of pebble leather and snake trim, with gold hardware and a magnetic closure. Regularly retailing for $129.00, you can purchase it today for only $59.00 during Danier’s Black Friday sale!